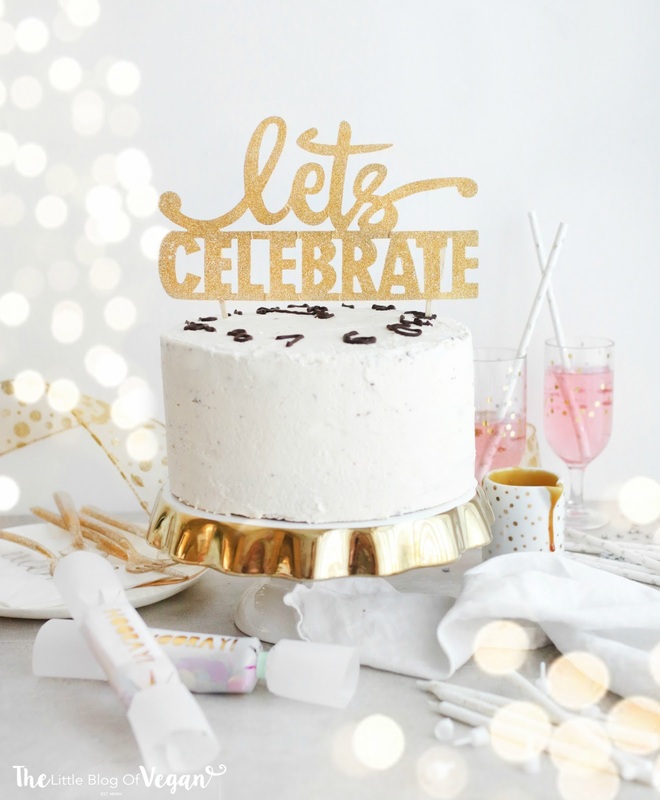 A rich chocolate, caramel and cookie explosion will sure get you in the mood for the New Year. 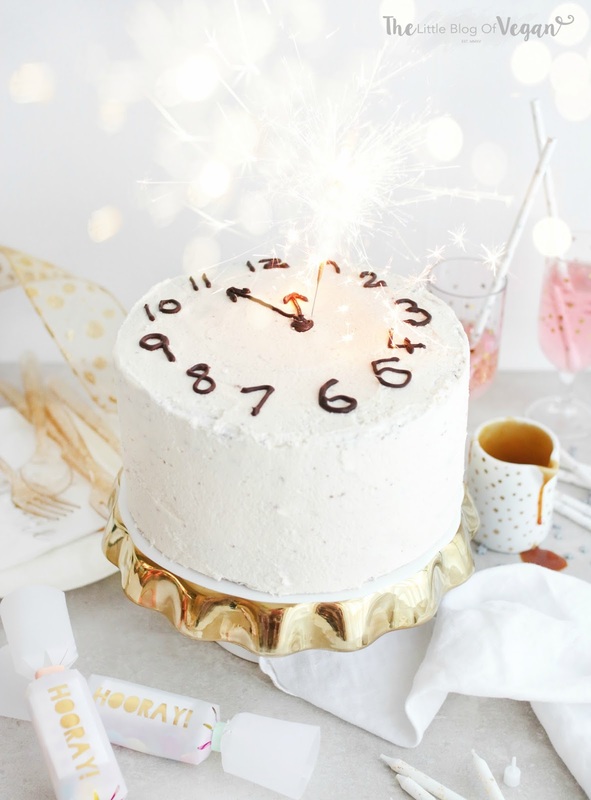 This cake is truly scrumptious and a showstopper. I took inspiration from Pizzazzerie on Pinterest and love how it turned out! 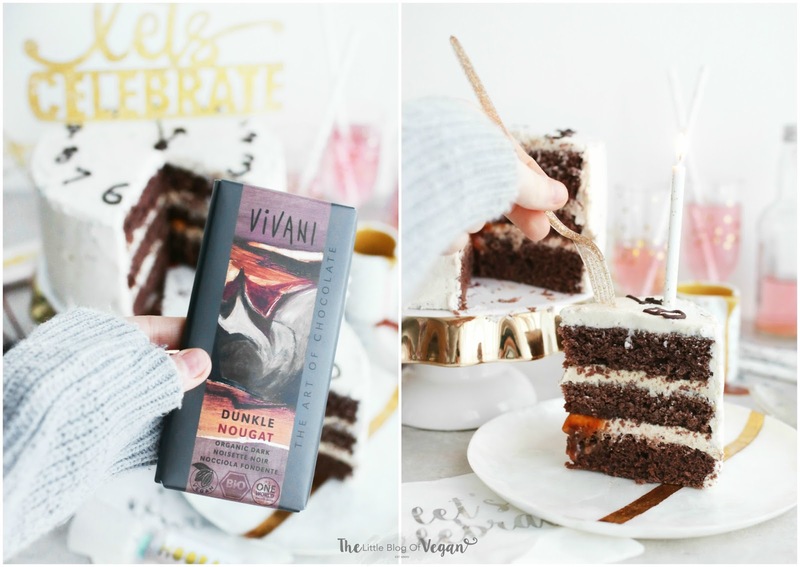 As it's a special occasion cake, it's filled with delicious flavours including Vivani dark chocolate. Vivani make a range of vegan chocolates and I can't get enough!!! They're one of my favourite chocolate companies. From silky smooth dairy-free dark chocolate to white nougat, they have you covered! This chocolate bar is a dream to use in baking as well as to nibble on, as it's easy to melt and tastes divine. 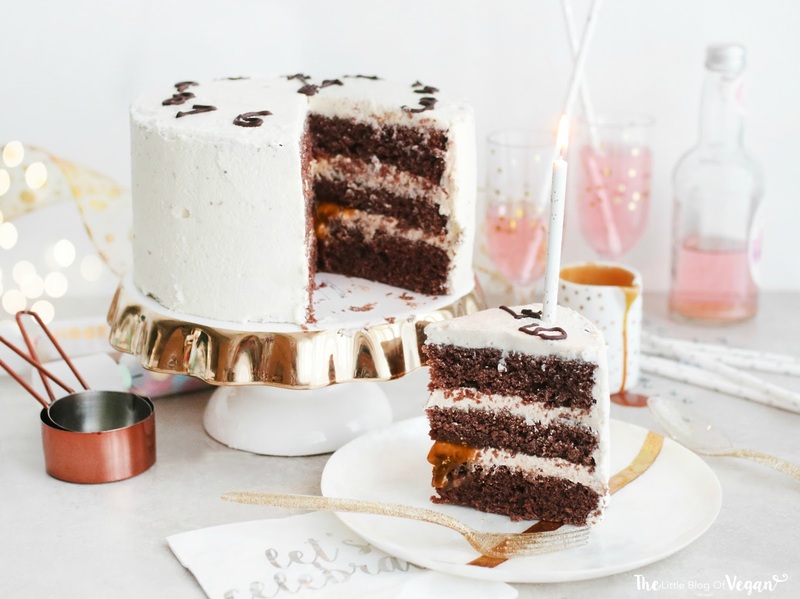 It takes the cake up a notch from being a chocolate cake to a rich, fudgy, mouth-watering chocolate cake! LOVE!!! The chocolate has a hint of nougat which compliments the caramel so well. This cake is simple to make and would impress everyone for any occasion! 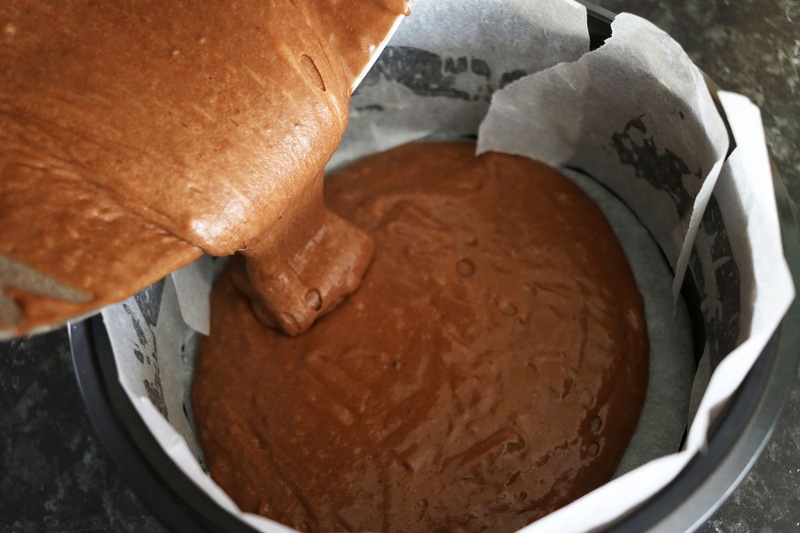 Step 1- Preheat your oven to 180 degrees c and line 3 8inch cake tins with grease-proof paper. Step 2- In a bowl, combine the almond milk with the apple cider vinegar and whisk until fully combined. 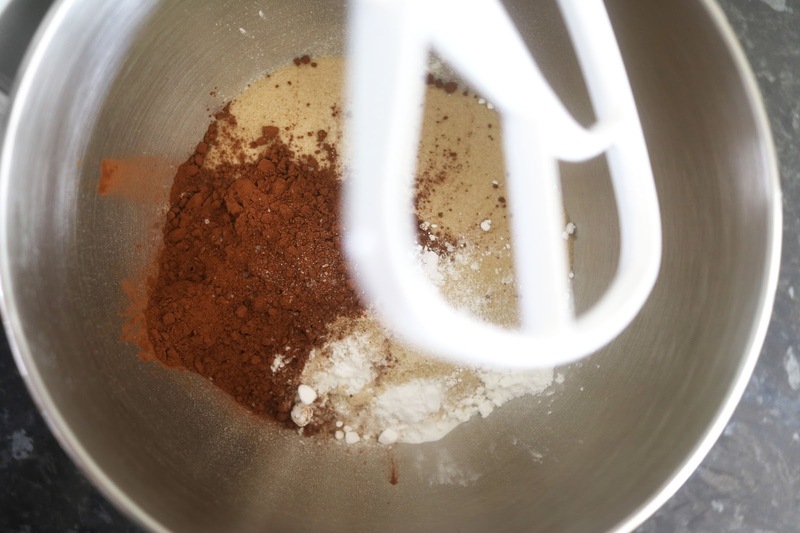 Step 3- In a large mixing bowl, sift the flour, sugar, cocoa powder, baking powder and bicarbonate of soda. 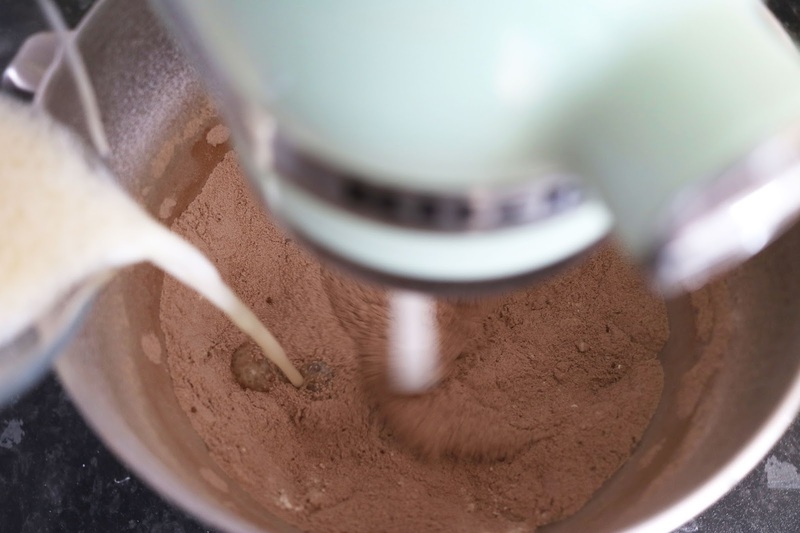 Step 4- Add the coconut oil and vanilla into the 'buttermilk' and whisk to combine. Step 5- Add the wet ingredients and melted chocolate into the dry ingredinets and mix. Step 1- In a bowl/stand mixer, cream the butter on high then add in the icing sugar and caramel. You want the buttercream light and fluffy. Step 2- Stack and fill the cake with buttercream, drizzling on some caramel sauce and crumbled cookies between the layers, then crumb coat the whole cake and pop into the fridge to set. Step 3- Once the crumb coat is set, apply another coat of buttercream and level until smooth. I use a cake scraper and large pallet knife. 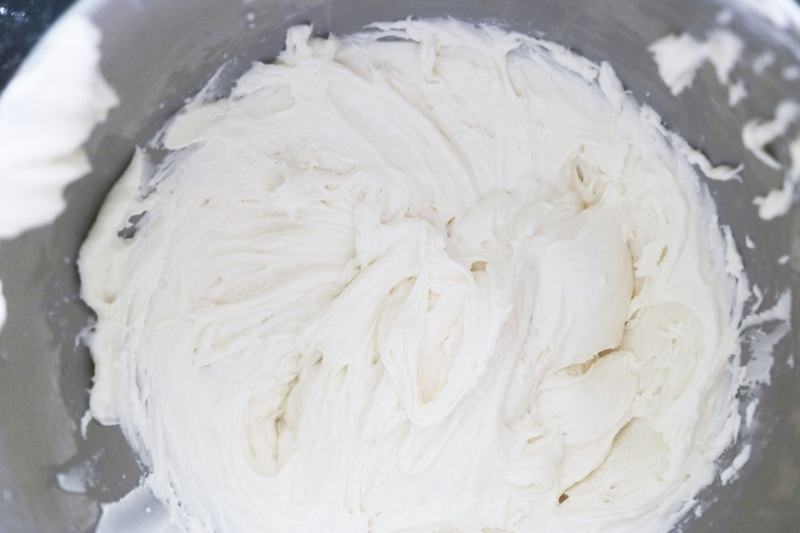 Watch this amazing video on how to perfectly crumb coat a cake. 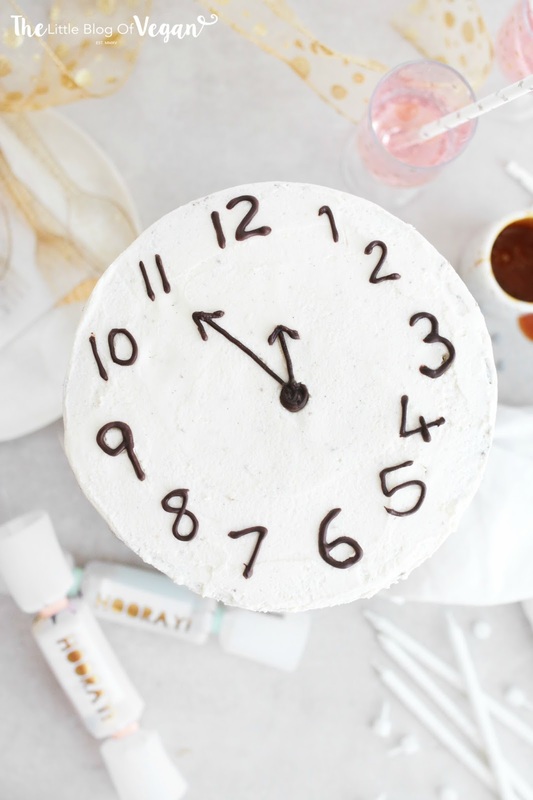 Step 4- Once the final layer of frosting is firm, I melted some Vivani chocolate and placed it into a piping bag along with a small round tip nozzle and drew on a clock face to celebrate New Years Eve. Wow! This is such a cool idea! I absolutely love it! Can somebody Order Valentine Cake for me on this special day? What a beautiful cake! I love the flavors and the whole appearance. Looks just perfect for New Year's Eve.